During two days 18th and 19th May 2016 in Hanoi, the training course for banking leaders on “Corporate Governance in Banks” was organized successfully under the coordination between VNU University of Economics and Business (UEB) and International Finance Corporation (IFC). Assoc.Prof.Dr. 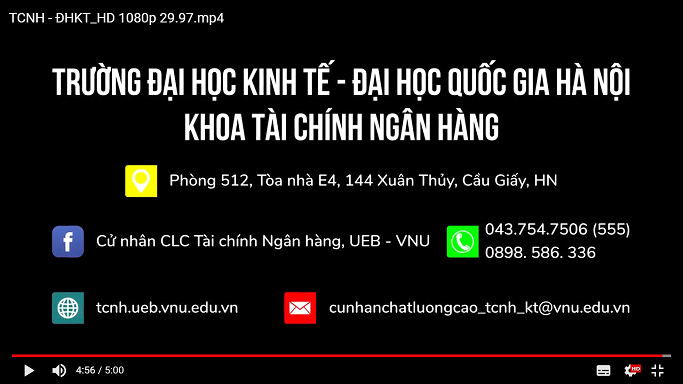 Nguyen Hong Son - Rector of UEB attended and opened the course. After the success of the Project ““Enhancing the capacity of corporate governance for banking leaders in Vietnam” funded by World Bank (WB) and Australian Agency for International Development (Ausaid), this course has been financed by the tuition fees of commercial banks. 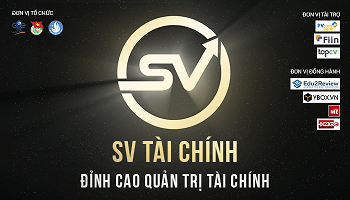 On the middle of April, one same course was organized in Ho Chi Minh and received lots of positive feedbacks from the participants who were all banking leaders. Lecturers and specialists in IFC and the Faculty of Finance and Banking, UEB are teaching in pair in the course. The training framework is designed logically with teaching methods focusing on discussing practical situations in Vietnam in comparison with international practices. During two days, the course had received positive responses from trainees with lively studying atmosphere and active discussion between trainees and trainers. “The positive participation of trainees not only contributes to the success’s course but also give useful information to improve the next training course” - Ms. Nguyen Nguyet Anh, CG specialist, IFC shared. At the certificate allocating ceremony, Ms. Trinh Thi Hong Le - Head of Chairman Office, EVN Finance Joint Stock Company highly appreciated the quality and the big amount of knowledge the trainers had shared. Ms. Hong Le assumed that the course was truly helpful and necessary for banking leaders to apply in their banks’ conditions. She also gave a big thank to organization department and lecturers who had prepare carefully through the course. Assoc.Prof.Dr. 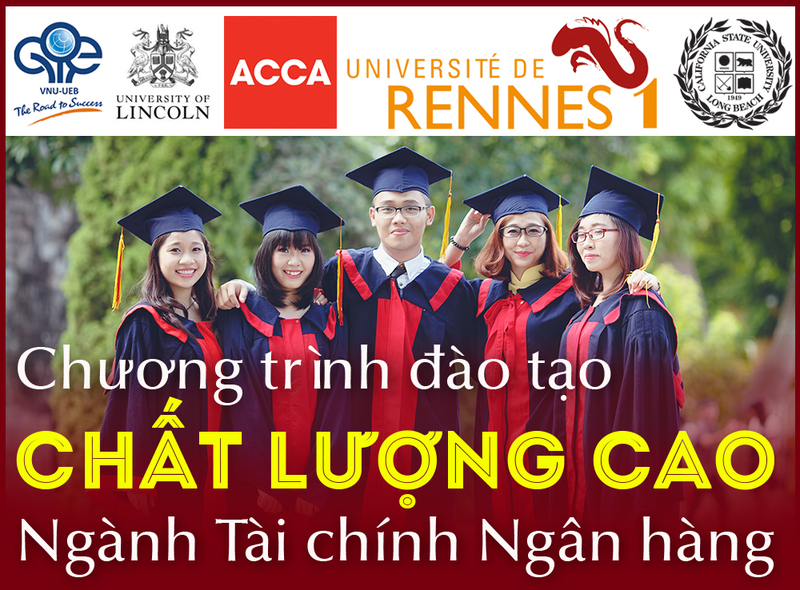 Nguyen Hong Son - Rector of University of Economics and Business congratulated to all trainees completing the training course. He expected that the knowledge from this course would be helpful and effective applicable in the CG practice in banks. After this course, the Rector hoped that the participants would have a different look about UEB - the university always strove to the linkage between education, research and practices. He also greatly thanked to the cooperation of trainers and especially IFC, and hopefully lengthened this cooperation for the next training courses. 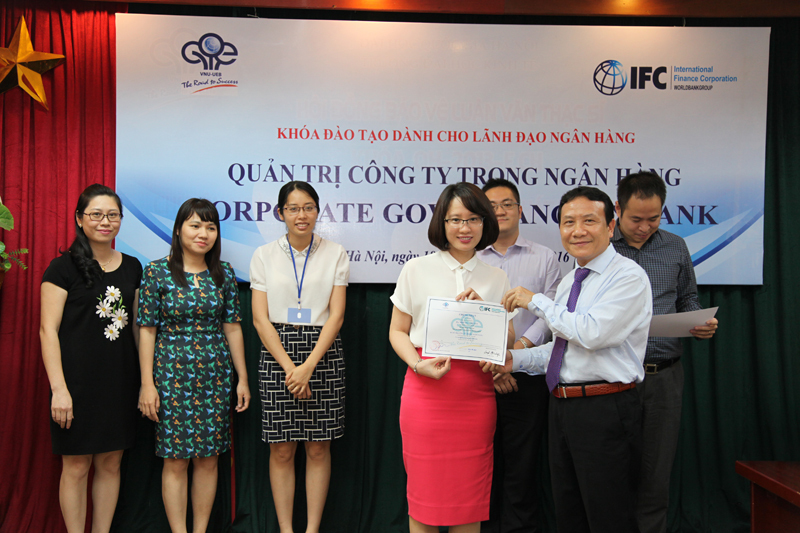 The success of training course ‘Corporate Governance in Banks’ continues to be the important prerequisite of the cooperation between IFC and Faculty of Finance and Banking in organizing high-quality training course with highly applicable for Vietnam financial institutions.